Change Agent Emery Ivery talks philanthropic impact in St. Pete, combating poverty, and long-term recovery from Hurricane Irma. On this episode of SPx, host Ashley Ryneska welcomes local change agent Emery Ivery, Chief Impact Officer of United Way Suncoast to the show. 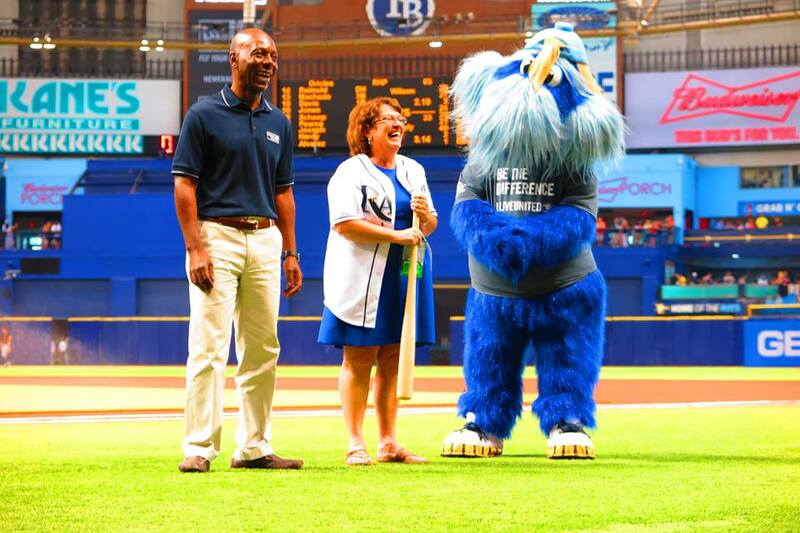 Ivery talks the business of philanthropy, and the impact the United Way has made through thriving corporate partnerships with companies like Baycare, the Tampa Bay Rays, and Duke Energy. He shares the values that got him started as a psychiatric social worker, and what moved him to systemic justice work some 30 years ago. He discusses the United Way's multifaceted missions, and what they look like in our community, including the multi-resources neighborhood initiative in Campbell Park, the "walking school bus", and the 2-1-1 help-service. 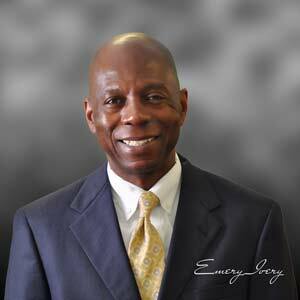 Last year, Emery Ivery celebrated his 30th year with United Way, a career he started in Cleveland, Ohio. Ivery's career was sparked from his passion for mentoring and working with kids. He became a psychiatric social worker and then joined United Way for its "macro-strategic" elements, tackling problems through funding, partnerships, and long-term solutions. Ivery's beginnings as a social worker inform the practices by which he does his job at United Way, "We try to take a holistic approach around how do we engage parents better in their education, how do we work with families to relieve some of those stressors, and then how do we partner also with the school district to make sure that they have the community support that they need in order to make sure that kids are successful in school." 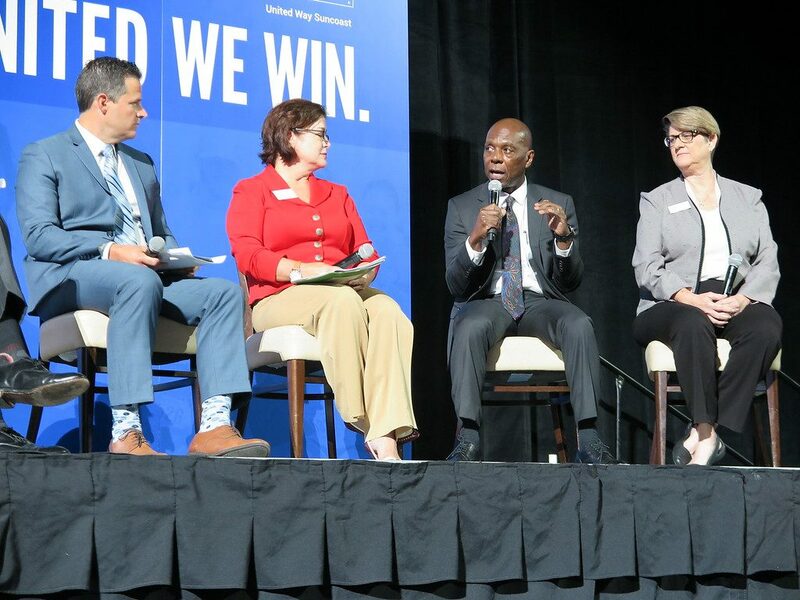 The United Way Suncoast is partnering with both Hillsborough County Schools and Pinellas County Schools, along with Alliance for Public Schools to ensure kids are ready for college - or careers - after they graduate. This includes efforts like building trade programs into public school, possibly as early as middle school. Place-based initiatives: Campbell Park. These initiatives are about, "bringing resources together under one roof, partnering with the school district, really addressing the issue of making sure that kids and families have what they need to be financially stable, to be comfortable at home, which then helps that child become more ready to learn while they’re in school." Solving attendance issues with a "walking school bus": in partnership with the Rays, United Way has helped increase attendance and decrease tardiness through the implementation of a walking school bus. This is one of many examples of the corporate partnerships that United Way has orchestrated to benefit the community. They're also engaged with companies like Duke Energy, Suncoast Credit Union and Baycare. The United Way's services are not only for children, they also offer many adult programs, including: "two facilities that are connected through a walkway, we offer job training, we offer case management, we offer financial assistance. There’s a computer lab where folks can come in and apply for benefits or do a job search. We have legal services, we do all kinds of training in-house, new partnership with Baycare where we will be offering on-site CNA training for individuals and families, and we provide through that training all kinds of supports." "Our United Way Suncoast is a five county United Way, so we cover Hillsborough, Pinellas, Sarasota, Desoto and Manatee county. So, we have a regional board, and then we have area boards for Manatee, the Sarasota area and the Tampa Bay area." What does the Chief Impact Officer do? "All of the work that we do through the resource centers, all the work that we do with regards to providing funding for agencies, all the strategies that we’re involved in to help stop the cycle of generational poverty comes out of those area offices." "Shortly after Irma hit, our CEO, Suzanne McCormick, along with Marlene Spalten from the Community Foundation, came together with the Pinellas Community Foundation, the Foundation for a Healthy St. Pete, Allegany Franciscan Ministries, United Way of Citrus and United Way of Pasco County - to create a Hurricane Irma fund." Hurricane Irma left many families struggling with both short and long-term relief needs. Many of those working form paycheck to paycheck have found out they will not receive FEMA assistance or, if they didn't repair damages to their homes due to budget, are now facing even greater problems like mold. Local relief efforts, such as the United Way's Hurricane Fund are becoming increasingly important long-term. Tampa Bay is facing another issue related to Hurricane Irma - the influx of struggling families from disaster-ridden Puerto Rico. "Now there are three flights every day, seven days a week from Puerto Rico, with an average of anywhere from 75 to 150 individuals." Creating a generous workplace: "I think the fundamentals and the culture, I think, of giving really starts on the top, with the leadership in that organization." In his free time, Ivery is an avid runner. Why? "First of all I wanna be and stay and healthy for a long time. But it’s also a stress reliever as well. It also helps me start my day. And sometimes I meditate and think about my day and maybe problem-solve, other days I listen to music and other times I listen to audiobooks." Ivery's shout-outs? Superintendents Eakins (Hillsborough) and Grego (Pinellas) - "I think we should be really proud of our leadership at the two school districts and the work that they are doing. They do an incredible job under some really sometimes tough circumstances." "We’re in business to serve clients, and we wanna make sure that every individual that comes through our door is treated with kindness and respect, and that we really do everything that we can to help them with their goals and to help them achieve a better life." The United Way Suncoast is striving to make change in Tampa Bay, and throughout the West Central region of Florida. Each year, The United Way seeks to quantify its impact through the ALICE report. ALICE, a term introduced in our podcast with Beth Houghton of the St. Petersburg Free Clinic, stands for Asset Limited, Income Constrained Employed. This is a term for those who fall just above the poverty threshold, basically, the working poor. Alongn with those living in poverty, this is the target population of the United Way Suncoast’s resources, and the target of their community initiatives. The 2017 ALICE report showed that 41% of the Suncoast region’s households are barely making ends meet – meaning they are either living in poverty, or under the category of ALICE. A particularly interesting section of the report seeks to address who these households are made up of, and they may not be the categories you would expect. While many of these families suffer from the effects of generational poverty and lack of opportunity/resources, many folks who fall in the ALICE category could live in your neighborhood. As St. Petersburg continues to grapple with issues of equity and progress, it must weigh the economic consequences of building luxury condos, or building affordable housing for young professionals upon which the economy of the city so heavily relies. "I think the fundamentals and the culture, I think, of giving really starts on the top, with the leadership in that organization." Ashley: We are here today with a change agent for St. Petersburg and, really, the Tampa Bay region. I am delighted to welcome Emery Ivory, the Chief Impact Officer for United Way Suncoast to SPx. Emery, thank you so much for joining us. Emery: Thank you for having me. Ashley: If not the 30+ year career with United Way from Cleveland, talk to me just about how you stumbled upon this mission that you’ve made your life’s work. Emery: Sure, thank you. I didn’t know that you knew that background on me. Yeah, I last year celebrated 30 years with United Way, started my career with United Way in Cleveland, Ohio, where I was born and raised and educated, and then moved to work with the United Way in Tacoma, Washington, I was out there for about five years. And then Orlando, and now Tampa. And the Tampa Bay region is where I consider this home for me. And I started my career really working with kids, had a huge passion for mentoring and working with kids who have had troubles and struggles in their lives. And then I actually became a psychiatric social worker. So, I did that for a few years before I joined United Way. And I think that my drive to work with United Way, in Cleveland at least, to start, was that it was a macro-strategic organization that was really about getting to the root causes of a lot of our community issues through funding, through partnerships and through working with key corporate partners to develop solutions, long-term solutions for those issues. And I think that that was really my passion, and certainly I really enjoyed working one on one with kids and adults who were struggling, but really felt that, in order to make the kind of change that, at least, I felt that I wanted to see, working at the United Way was where I thought I could make that happen. So, it’s been a great career for me, I’ve enjoyed every minute of it, and really enjoy and appreciate the work that we do here in the Tampa Bay region. Ashley: You mentioned a brief stint in the behavioral care for youth. And it’s interesting, there was a speech from a representative of St. Pete College talking about the state of education. And we are very quick to look at academic remedies to get our schools performing better, and he said you could really throw all of the money and funding behind that, but when a youth walks in and the reason they’re unable to focus and to achieve academic success is because they’re going through a very horrific divorce within the family, or there’s some element of their home life that emotionally is rendering them unable to lock in to where they need to be academically. I’m wondering, what you walked away from that moment in your career with understanding maybe a different layer of what today’s youth are dealing with. Emery: Yeah. It really is a complicated issue, but it’s also an area that really needs the entire community to become involved in. You’re absolutely right. If a child is coming to school and they are coming from a home where they are wondering where the next meal is gonna come from, maybe they haven’t eaten the night before, they’re seeing challenges or problems within their household, family is struggling maybe financially, those are stressors that that child brings to school. And it’s very, very hard to learn when you’re hungry, when you’re stressed out because you don’t know where maybe your next meal is coming from. Those are very hard and difficult issues for a kid to deal with. And yes, it does interfere with their ability to learn. And so, a lot of the work that we do is really look at the bigger picture and try to take a holistic approach around how do we engage parents better in their education, how do we work with families to relieve some of those stressors, and then how do we partner also with the school district to make sure that they have the community support that they need in order to make sure that kids are successful in school. I think the other issue is making sure that kids, once they enter school, have the skills and the pre-literacy readiness to be able to succeed. So, the education starts from the time a kid is born. And so, what we want to make sure, and this is where the community gets involved and how we engage parents so that they can better prepare their kids, so that we can make sure that they have the quality childcare that they need, so by the time they enter school, they are ready to learn. Ashley: I had a pre-school director say to me that it was fundamental that the youth entering kindergarten had a specific command over their literacy skills, but more importantly than that, they understood that they were capable and competent in those works, and she said that the erosion of confidence that could potentially happen from kindergarten is nearly impossible to course-correct as they proceed through the school-age years. Can you vouch for that? Emery: Yeah, absolutely. If a child comes to school behind emotionally, academically, then it’s harder for them to catch up. And we don’t like to say it’s impossible, because we can make a difference. It’s just harder, and the further and further they are behind, the more difficult it is for them to catch up. And I think the second dynamic that happens is that that child starts to experience disappointment, they start to experience failure, which then impacts their confidence. And so, not all children have what they need when they enter school. We really do work hard, and I know the district works really hard to give them the extra supports that they need to catch up. But ideally what we all want to work for is making sure that every kid comes to school ready to learn. Ashley: And you’ve been actively involved with creating synergies, and in those efforts, under your leadership, United Way has created a really unique collaboration with the Pinellas’ and Hillsborough’s school districts. I’m wondering what inspired the need to look at an opportunity for partnership in a more concrete way, and how has that impacted the students that the districts are serving? Emery: Yeah, we’re just getting started with that, but fortunately we have a wonderful relationship with both the districts. We work very closely with a superintendent and key staff in Hillsborough County, and we have a very strong relationship with the superintendent and key leadership at Pinellas County school district as well. And they both have a great relationship and respect for each other as well. And we also work very closely with another organization, the Alliance for Public Schools, which is about advocacy and about parent engagement. And so, we all came together, compared strategic plans of both the districts, we all are supportive of the districts, we all have goals that really align. And after we looked at our strategic plan, after we looked at the strategic plan of the Alliance for Public Schools and the district’s strategic plans, we really determined that we all have the same goals, which is we want students to be successful, we want all students to be on track for on time graduation, and we all want students to be College or career-ready. And so, when we started to even look a little deeper at some of the objectives and some of the tactics, we all determined that it just made sense for us to collaborate. And so, we’ve had several meetings where we’ve brought both superintendents, their case staff along with our team and team from the Alliance really to share best practices, to develop solutions jointly, to look at our strategic plans and look at ways in which we can work together on those plans, and really started to look at ways that we can work together a lot better toward those goals that, again, we all have in common. Ashley: Can you give us an example of what that might look like from a tactical perspective? Emery: Well, there’s been a couple of things. So, for one there’s been a look at the trade programs. So, many kids, once they graduate, maybe aren’t College bound, but may be more interested in a career in one of the trades. And so, really looking at how do we strengthen our work with those kids. And we do it early enough, so that if they have in fact identified that this is the direction that they wanna go, that we can better prepare them for that career choice. We’ve also looked at ways in which we can work with middle school students. For example, that middle school transition, very difficult time and often for kids who are in fact struggling, that’s around the time that they determine whether or not school is for them, whether or not they can be successful. And they often start to think about whether or not they want to continue their education in school. So, putting in and looking at ways that we can make that transition from elementary school to middle school and from middle school to high school much, much easier. Ashley: And those strategies might be unrelated, but I might assume that middle school might be the opportune time to introduce the trade options – culinary, mechanical, you name it. I think that there are some educational models that are witnessing certain levels of atrophy, or apathy, or confusion quite frankly around that time period, and how they’ve solved for it is the implementation of specialized education outside of the main curriculum. Emery: Yeah. And you’re absolutely right. That is the time that we can start to have those conversations with students, but then also make sure that they have the kind of support that they need to pursue that. And it’s a very difficult time for many kids, but it also can be a turning point for kids to become reengaged with their education and start to get excited about the possibilities. And it’s an opportunity for them to experience success. Ashley: Emery, you certainly take a regional approach to solutions, but there’s been continued emphasis on a specific area of our community, the Campbell Park area. For those that aren’t familiar with the state of things at Campbell Park and your involvement, there was a gift that Duke Energy bestowed upon your organization, it was a seven figure… a massive gift. Way to start out the new year in 2017, but a lot of responsibility came with that gift. And I’d love to hear about why Campbell Park, and what you’ve been able to do there. Emery: Yeah. We have been in the Campbell Park area for probably about four years now, and it’s one of four place-based initiatives that we started several years ago, when we developed our strategic plan and we identified several goal areas: education, financial stability. And really, our board along with some key volunteers and staff determined that one of the best ways that we can move that plan forward is through targeted neighborhoods, and bringing resources together under one rule partnering with the school district, really addressing the issue of making sure that kids and families have what they need to be financially stable, to be comfortable at home, which then helps that child become more ready to learn while they’re in school. And so, that partnership actually started in the beginning with the partnership with the Tampa Bay Rays. They provided not only funding resources, but many of their staff volunteered. One of our first conversations, for example, with the Campbell Park school principal and the district as well was that attendance was a huge issue, and obviously if kids are late to school, or they’re not attending school, then it’s difficult for them to learn. So, we certainly have to address some of the home issues that’s creating that problem. But we looked at a best practice called ‘walking school bus’, because a lot of what we found was that there were a number of different issues and problems that parents were experiencing that impacted their child’s ability to get to school on time. And so, with the walking school bus we recruited community residents, we identified certain routes and we let students know that there would be a point where all students could meet up and to be escorted to and from school. So, at one point we had close to 200 students participating in the walking school bus, and the Rays supported that financially, but not only. They would send their mascot out, for example, several times during the week to meet kids at the school. They would provide all kinds of snacks and other incentives for kids who participated in the walking school bus, and they also provided incentives to the volunteer parents. So, we had seven routes. An evaluation that we did after the first and the second year of that program, and it’s still in operation, was that kids that participated in the walking school bus increased their both attendance and tardiness. So, our goal really now is to get more kids to participate in that. But that was just one program. That really, then, led to a need to address more the issues that we were seeing with the parents of the kids who attended Campbell Park School around financial stability. Maybe they were struggling with resources to keep their lights on. Maybe they were looking for job opportunities, but for whatever reason there were barriers. And so, we replicated a model that we had started in Sulphur Springs, which was a financial stability center, a number of different services offered under one roof. And once we created that model to start in Campbell Park with a contribution seed money from Suncoast Credit Union, we had conversations with Duke, Duke liked that model, that was one of their priority communities neighborhoods, and then they allowed us to expand that work through a million-dollar gift. And this is also a partnership with the city of St. Pete. So, right now we have two facilities that are connected through a walkway, we offer job training, we offer case management, we offer financial assistance. There’s a computer lab where folks can come in and apply for benefits or do a job search. We have legal services, we do all kinds of training in-house, new partnership with Baycare where we will be offering on-site CNA training for individuals and families, and we provide through that training all kinds of supports to make sure that the families participating in that, the individuals participating in that can be successful. So, if they need transportation, we’ll help out with that, if they need child care, we’ll help out with that as well. Emery: Asset Limited Income Constrained Employed. Ashley: It’s essentially that one’s not right above impoverished, but not yet qualifying for any type of…? Emery: Correct, yeah. This is the working poor, individuals who work hard each and every day, but barely making enough through their employment to pay the bills and make ends meet. So, in our general region probably 40, 41% of the families are either at the ALICE threshold or below. Probably about 28%, for example, in Pinellas county, are the ALICE population, and then another 12 to 13% are at the poverty level. So, a big part of what we do in the Campbell Park area and in the resource center is work with that ALICE population, and work with those individuals who are in poverty. Ashley: Are there certain indicators that your research is finding that connecting the dots that are shared amongst this specific segment, be it elements of their lifestyle or demographic? Emery: So, a lot of what we see, for example, are individuals that maybe did not complete their education. So, one of the opportunities we will have is to provide GED training for those individuals. Many folks who maybe graduated from high school and started a family early, and found employment because they needed something to take care of their families, and then also found themselves stuck in those jobs because they have kids, they have to work to make ends meet. Some are working two jobs, or maybe a job full-time and a part-time job. That leaves them very little time to really think about what they need to do in order to get additional training, for example, to get a better job. Ashley: Or maybe even be present for their children. Emery: Correct, yeah. And so, many of the folks that we see that now come to the resource center are folks who have had struggles, have had setbacks. But those are the kind of setbacks that have really prevented them from earning the kind of wage that they need in order to take care of their families. Ashley: And to our earlier conversation, maybe even create a healthy dynamic, a healthy household, right? If you think about the dissolution of that family structure, the considerable strain and expectation, the lack of transportation, the lack of opportunity, it all bubbles up to potentially disfunction. Emery: Yeah, it does. And look, 70% of the ALICE households are single female heads, that have maybe two, three children. And if you are the only one in the household that is employed, and you are trying to make ends meet and you’re making a low wage, yeah, those are tremendous stressors for an individual. And a big part of the challenge is finding an opportunity where some of those barriers can be removed, so that you can get the additional training and support that you need to get a better paying job. And that’s a big role that we play. And then we even find folks who find themselves somehow deeper and deeper into debt. So, you struggle to make ends meet, there is a setback like maybe you have a breakdown with your car, and then you have to figure out the way to get the dollars to repair your car, because that’s what you need to get to work. And you take out a really high interest loan, which is a further setback, or you decide that there’s another bill that you can’t pay, which then puts you further and further behind. And those are the kind of decisions that, unfortunately, ALICE families have to make every day. And so, again, a big part of the work that we do through the resource center is to try to help them manage the immediate crisis, the immediate issue, and then get them on track to start thinking about longer term financial goals, many of which includes the training to get a better paying job. Ashley: When you describe your outreach, it’s so diversified and so layered, the verticals that you’re potentially able to offer under the realms of health, and financial stability, or financial acumen, and in literacy. And I think there’s even a phone number that United Way puts out there, it’s 211, which is a sort of a derivative of 411. But essentially, you call 211 and an individual is able to share what they’re experiencing, and they’re connected to the right resource for their specific issue. Talk to me about the governance and the responsibility that comes with such a matrixed, diversified business model. Emery: Yeah. Well, our United Way is a five county United Way, so we cover Hillsborough, Pinellas, Sarasota, Desoto and Manatee county. So, we have a regional board, and then we have area boards for Manatee, the Sarasota area and the Tampa Bay area. But then we also have a team of volunteers and staff, many of the volunteers come from the companies that support United Way in other ways financially year-round. But these are, like many think tanks, we have a diverse team of folks who understand the business of helping individuals and families out of poverty. We have individuals that are experienced and understand education and early learning, and these folks meet on a regular basis and that’s where the strategies are developed for how we will work with families. And then, obviously, we work very closely with all of our partner agencies, these are the folks that are doing the work on the ground. And so, even through the resource centers, we work with several partner agencies that do the work. The big difference, I think, out of our resource centers in Campbell Park and Sulphur Springs, is that they are working together under one roof, coordinating efforts and really working to make sure that every family, every individual that comes through the door, that they aren’t just coming for maybe legal services, that’s where maybe it starts, but then, once they get what they need immediately, then they’re exposed to other opportunities to better their lives. And all of our partner agencies are working with us on behalf of the individuals that come through the door. We’re in business to serve clients, and we wanna make sure that every individual that comes through our door is treated with kindness and respect, and that we really do everything that we can to help them with their goals and to help them achieve a better life. Ashley: So, are you essentially the liaison between the five respective…? Emery: Yes, we are. Yeah. Ashley: Okay. And you recently came into the role as Chief Impact Officer. What did that technically mean? Emery: It means that I work with our two market presidents in Manatee and Sarasota county, and we all work together around all of our community impact work. All of the work that we do through the resource centers, all the work that we do with regards to providing funding for agencies, all the strategies that we’re involved in to help stop the cycle of generational poverty comes out of those area offices. So, my role is really facilitating those conversations between our two area presidents and in our market, and in both Sarasota and Manatee markets. Ashley: And moving beyond the five immediate regions of oversight, the United Way Suncoast was actively involved in post Irma recovery for the residents of Puerto Rico. It’s interesting when you talk about, and certainly the storms had affected Florida and Puerto Rico, and what a crazy season that was for many of us. Ashley: But I think often, when we think about natural disasters, we tend to think short-term, right? Just what’s happening in a few week timespan. But you’ve single handedly witnessed the latent effect, and now three months beyond for the residents of Puerto Rico. Share with us a little bit about that. Emery: When I was in Orlando we experienced Charlie and two other hurricanes after that. And so, that was a real learning experience for me, to actually see the impact of a major hurricane on a community. And it can be very devastating. And so, fortunately, that experience and the role that we played in Orlando helped me as we started to think about what role we would play in the Tampa Bay area. And also, fortunately, we have great partnerships with other funders and United Ways in some of the surrounding counties. So, shortly after Irma hit, our CEO, Suzanne McCormick, along with Marlene Spalten from the Community Foundation, came together and created more of a regional fund. So, we contributed to the fund, we also received funding from the Pinellas Community Foundation, the Foundation for a Healthy St. Pete, Allegany Franciscan Ministries, United Way of Citrus and United Way of Pasco County – and again, along with the Community Foundation, to create a Hurricane Irma fund. And one of the things that we agreed was that the pot of money was regional. So, we didn’t come or contribute to that fund with a specific criteria around geographic criteria. So, we set up weekly meetings, we made sure that the community and our agencies knew about the fund, and we asked them to submit proposals for us to review. One of the first decisions that we made shortly after the hurricane was to fund over $100,000 to feeding America, because taking care of some of those immediate needs like food and water was really important. And what we heard and what we knew was something that we had to act on pretty quickly. Shortly after that we started to receive proposals, we met bi-weekly and then it moved to a weekly basis where we would review proposals and make decisions and get those dollars out to agencies as quickly as possible. But there’s the hurricane relief, and then there is short and long-term recovery. So, we are now in the short and getting into long-term recovery, and this is the period in which families, for example, they have learned that they won’t receive any reimbursement from FEMA. And maybe they’ve used some of their last dollars to make repairs on their homes damaged by the hurricane. Or families who have struggled since the hurricane because maybe they decided to leave the area, and used some of their last resources. So, if you think about the ALICE families working paycheck to paycheck, trying to make ends meet. Now, all of a sudden, they have to figure out a way to either travel out of town, or buy the extra resources that they need to live through the hurricane. And so, now they start to experience some setbacks. Or even families who have had damage to their homes, maybe they started to see leaks as a result of some roofing issues that they didn’t have the dollars to repair, those leaks got worse and worse, now there’s mold… And so, now they’re struggling with a much bigger issue. So, the short and long-term recovery starts to address issues like that, and the funding that we have available will go to agencies that will be able to help families who have experienced those setbacks as result of Hurricane Irma. Ashley: What about Puerto Rico? Emery: Yeah. We have just started to look at, and we’ve been working with our partners at the County and Emergency Management and some other organizations to really figure out what our long-term response is gonna be. So, we have been working to get some immediate basic needs, necessities out to those families. The biggest issue, I think, will be short and long-term. At one point there weren’t many flights coming in, for example, to the Tampa Bay area from Puerto Rico, then we were seeing two flights per week, and now there are three flights every day, seven days a week from Puerto Rico, with an average of anywhere from 75 to 150 individuals. Many of those individuals are families who are struggling and are maybe now currently staying with relatives, but at some point, issues related to housing will become something that we’ll have to think about as a community. Jobs, for example; those families that decide to settle here will be looking for jobs. And the biggest challenge there is that most of the jobs that are available are jobs that are low wage jobs. Then the other challenge of affordable housing, and transportation. So, when you think about the fact that many of these families and individuals will be searching for jobs, but they will be jobs that are low wage jobs, and that there’s a huge affordable housing issue, and that there’s not a strong transportation system. So, maybe in other cities, where affordable housing is an issue, people maybe live further and further from the area, but there’s a good transportation system to bring folks into the city, and that just doesn’t exist here. So, our biggest challenge will be how do we help those families given our current situation of affordable housing, jobs, so on and so forth? And fortunately, we are beginning to have those conversations with some of our partners, to look at ways that we might be able to develop a strategy to help with that. But it’s going to be a tough issue. Ashley: So, how many total Puerto Rican residents do you think we’ve taken into Tampa Bay so far? Emery: Well, you can almost do the math if you think that for the past… maybe since before Thanksgiving, you start to see flights come in every day at about 100 individuals per day. It’s quite a bit, already, at least, in the Hillsborough County area there were 100,000 families from Puerto Rico living there. And many of those families have relatives in Puerto Rico that will be coming here as well, which means that even the school districts will start to see an increase in enrollment from families from Puerto Rico. And so, you start to think about what kind of support will be needed to address some of our community problems. Ashley: You have a program in place that lauds workplaces for being generous workplaces. You’ve ranked them and celebrated them on your digital channels. So, for those that are listening that own a business or running a small business or large, what are the fundamentals to creating a generous workplace? Emery: I think the fundamentals and the culture, I think, of giving really starts on the top, with the leadership in that organization. And many of the organizations that are huge givers to United Way and to other organizations, they do that because there is a passion of the CEO, and passion throughout the organization, but really having that passion at the leadership level, that really sets the culture and gives folks an opportunity to give and to volunteer is really important. And again, fortunately, we have some really great companies and leaders in those companies that are committed to the community, committed to giving to the community and supporting a lot of the work that United Way and other non-profit organizations do each and every day. Ashley: So, just to a personal pivot clocking up volunteers or clocking up the miles, you are an avid runner. Ashley: Well, I’m curious, when you run is it to build energy and to use that time to be really creative, or do you run to enter more of a meditative zone? Ashley: Can you share with us something that you’re listening to and something that you’re reading? Emery: Well, I love all kinds of music, blues, jazz, R&B… I just finished a Stephen King book. I like history, so I’ve read a number of books on the civil war. And there’s a book that I’ve just downloaded called ‘Thanks for Being Late’. It’s about 20 hours, it’s unabridged, so that will get me a lot of good miles before I’ll finish it. Ashley: I wanna say that we had a guest actually mention that book, I think it was Greg Holden. Ashley: He mentioned that book, ‘Thanks for Being Late’ – is the premise essentially, because you really – I had a moment to myself? Ashley: And you clock up some pretty big miles, did you run marathons? Emery: Not so much anymore, I do a lot of half marathons, usually three to four a year and some shorter races. Ashley: But a good way to bring this conversation to a close, I really appreciate what you’ve shared with us about you and about your organization. Ashley: We take the last moment of our podcast to really reflect on somebody else in the community, be it an individual or an entity that you think maybe deserves a little bit more love or limelight than they’re getting right now. Ashley: Unsung heroes, for sure. Emery, I thank you so much for joining us. 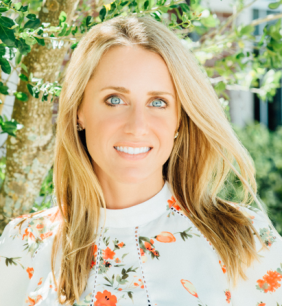 Ashley Ryneska is the Vice President of Marketing for the YMCA of Greater St. Petersburg and a founding Insight Board member at the St. Petersburg Group. Ashley believes meaningful conversations can serve as the gateway to resolution, freedom, and advancement for our city. Her passion for storytelling has been internationally recognized with multiple media accolades.